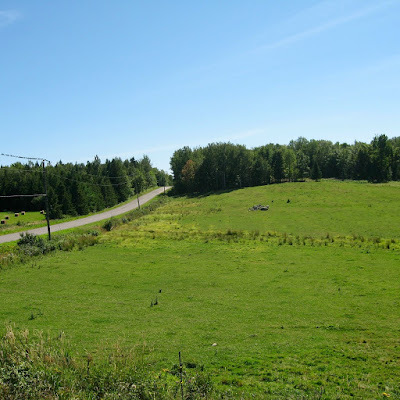 Last week, we took a little break from life and escaped to my parent's farm for a few days. We had done the same last summer and had really enjoyed it, so we figured we'd do it again. I grew up on this farm and the summer was always the best time to be there so it's great being able to share that with my fiancé and puppies. My better half gets to try out a bunch of new fishing spots and the dogs are in heaven with all the new smells and friends to play with. This year was a little tricky because the summer has been so dry that the well was very low. That means we have to use the least amount of water possible and that we get to wash in the lake (with biodegradable products, of course!) It's all part of the experience! There is no feeling that comes close to going for an evening run on country roads followed by a refreshing dip in the lake! Going to the farm really takes me back to my childhood! With my own wedding coming up, I couldn't help but snap a pic of my parent's wedding day when flipping through a photo album at my grandma's. Aren't they just darling? They got married at the end of December in 1986. Although it was an interesting decade fashion-wise, I've always loved my mom's dress. It was very understated for the time and the silhouette she chose is classic and timeless. I also really like the peak-a-boo lace on the sleeves and the illusion sweetheart neckline with collar. It's so unique! Her make-up was also very pretty, considering how intense make-up got in the 80s, she hit it out of the park! I could have done without the permed hair though... But the hat tones it down and it ultimately is still flattering as opposed to distracting. So she pulled it off in the end! 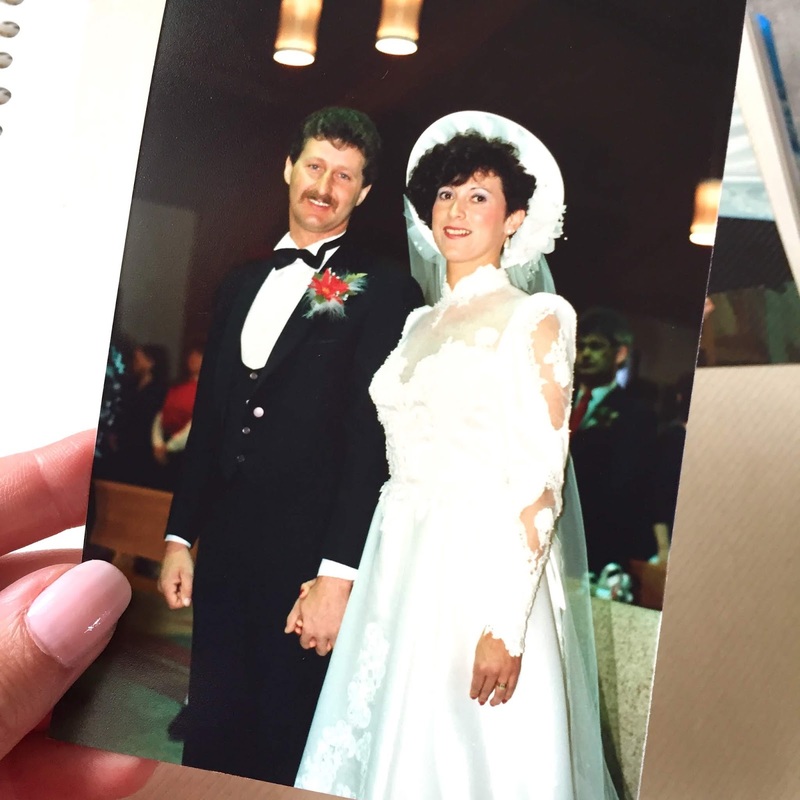 I am hoping that my own bridal look stands the test of time like my mother's did. She set the bar pretty high! We always like to bring a little host/hostess gift when we visit anywhere. My parents have a Nespresso coffee machine, but don't live anywhere near a store, so we like to bring them a couple sleeves of pods whenever we go. This time we also brought them a couple flavour syrups for hot beverages, which were a huge hit! I have a small collection of them at home and really love adding some to my lattes, so I figured it would be a nice addition to their coffee station. The final little thing I added to the bag was these novelty napkins. My mom hoards these things and is a huge fan of funny napkins. I literally laughed out loud at the store when I saw these so I could not pass them up! 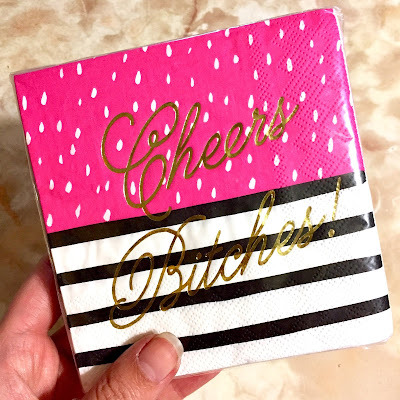 My mom is a strong, independent and direct woman, so these napkins were made for her! Plus, she's always serving up some kind of beverage, so I'm sure these will go over well with her girlfriends! So I came upon this little childhood gem. It's in the biggest tree, right in the front yard and I'm so used to it being there that I don't notice it anymore. 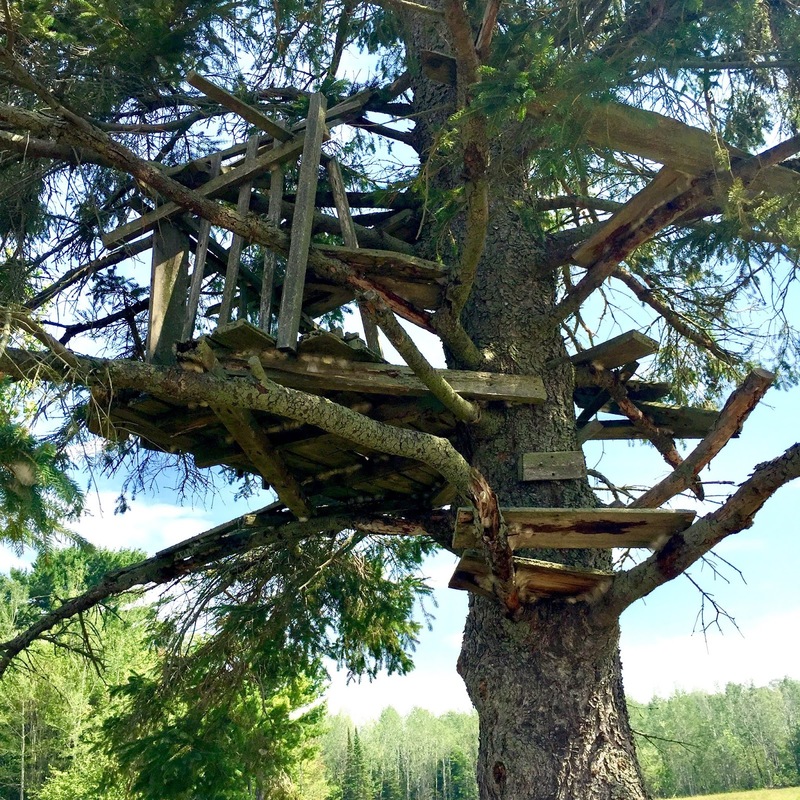 This was our awesome childhood tree house! I remember when my older brother and twin cousins built it. The twins were a couple years older than my brother and he idolized them. They were always very handy and loved to build stuff, so my brother had been looking forward to this project for a while, planning and dreaming up layouts and whatnot. My dad had given his OK on the tree and access to the scrap wood pile, so they were all set! It was a building frenzy and I remember my younger brother getting upset about being left out of the build. He was a couple years younger and really would have been in the way, but was upset nonetheless. This thing ended up being a multi-levelled beast and provided us with countless hours of fun and games, all year round! I think the best part was that you actually had to climb the tree to get in, there was no ladder. If you couldn't climb a tree, you couldn't get in. It was our way of weeding out the weak. We were pretty intense... To this day, the structure stands as a beacon of our childhood. I'm feeling a bit nostalgic now. So my dad has been a farmer is entire life, from the day he was born. He's had pretty much every kind of livestock, but had never had sheep. This year, he added the fluffy animal to his roster. 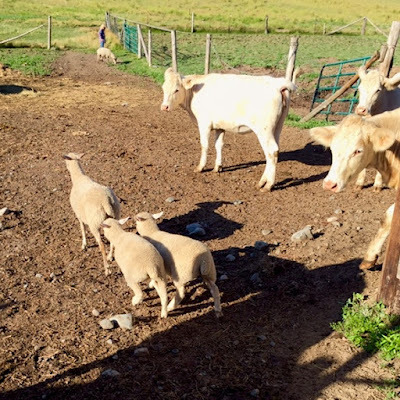 He acquired two expecting females that had three lambs: the eldest is Blossom, born early spring and the twins are Polly and Pocket, bringing the small herd to a total of five. The three little ones are pictures and one of the moms is in the background. Let me just say that they are the most entertaining of barnyard animals. The lambs just bounce around bleating all day! The sound makes me giggle, it's so endearing! They also played a bit with my puppy! It was just precious! I was hoping to get to hold the lambs, but they had grown too much by the time we visited. Oh well, maybe next time!